An epoxy liner aids further corrosion of your epoxy lined plumbing drain and potable water lines. However, here at Nu Flow, we want to remind you to still get regular plumbing inspections and perform preventive maintenance of your new epoxy lined plumbing pipes to aid further clogs and sewer backups from restricting water flow. What is the purpose of an epoxy liner? 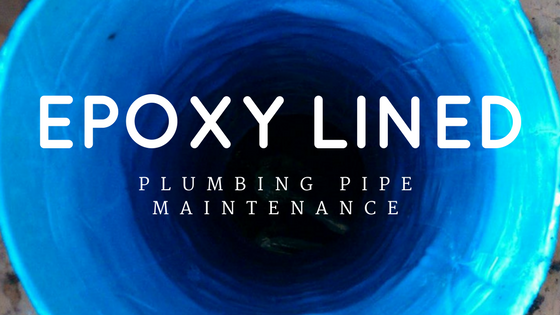 The purpose of an epoxy liner is to repair and refurbish your existing drain lines without having to tear through walls, ceilings floors and landscaping in order to replace the pipes. The pipe lining process ensures that the host pipe is clean and that the pipe liner properly adheres to the host pipe in order to maximize the diameter of the drain line and prevent further corrosion. Does an epoxy liner for plumbing pipes prevent clogs? Epoxy pipe liners, once cured, function just like a replacement pipe. When items are rinsed down a drain or flushed down a toilet, they flow through the drain line and into the sewer. If enough grease, large food particles or items that do not belong in drain lines are sent down the drains, the pipes will clog. This means that you will still need to invest in hydro jetting drain lines on a regular basis in order to prevent clogs. What is the maintenance of pipe liner in a Chicago building? Your exact plumbing maintenance schedule will depend on the usage. Lightly used plumbing pipes will need less frequent cleaning than heavily used pipes, and pipes that frequently come in contact with grease, fats, oils, sodas and beer should be cleaned fairly frequently. Commercial Buildings – Schedule inspections quarterly, providing grease and food particles are not regularly sent down the drains. If the commercial building has a food court or cafeteria, the drains connected to those sections of the building should be hydro-jetted more frequently than once a year. Industrial Buildings – Schedule inspections quarterly. However, if chemicals, paint and other foreign objects regularly find their way down the drains, they should be inspected and hydro-jetted more often. Large Multi-Unit Family Buildings – At least every three months, especially with large, multi-story residential buildings. Since every unit has a kitchen and a toilet that could lead to unwanted items, like grease, fat and foreign objects being rinsed and flushed down the drains, it’s important to have your plumbing pipes inspected and to perform regular hydro jetting of drain lines. Large Public Venues – At least once a month. Large public venues, like stadiums, that serve food and alcoholic beverages, especially beer, should be cleaned monthly to remove dirt, debris and grease in order to prevent clogs. Restaurants and Food Courts – At least once a month. Restaurants and food courts should have their drains hydro-jetted every 30 days in order to prevent clogs from food and grease.Stadiums and Seasonal Venues – Before the start of the season. Seasonal venues, like stadiums, should have their drain and sewer lines hydro-jetted before the start of the season and as need throughout the season to prevent sewer and drain line backups and slow moving drains. Here at Nu Flow, we offer high-quality, durable pipe liners that can restore your existing drain and sewer lines in order to prevent future corrosion and host pipe deterioration. This can be less costly than replacing your pipes when you factor in the costs to repair landscaping on your property and/or the finishes inside your building. Once your pipe liner is installed, it will function just like a replacement pipe. However, it is imperative that you still schedule regular maintenance of your pipe liner to help prevent clogs and debris build-up. Depending on your building and the usage, we recommend scheduling inspections and hydro jetting drain lines every 3 to 12 months. For more information on how pipe lining can extend the useful lives of your plumbing pipes, contact us via the button below.